Brisbane man’s shock discovery of a gold mine in his backyard..?!?! 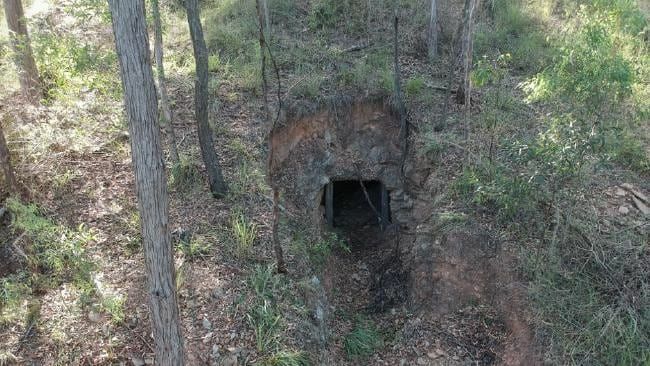 A BRISBANE man got the shock of his life after discovering a gold mine in his suburban backyard. It was certainly not in the fine print that he was sitting on a gold mine when he took over the property located just 20km from the Brisbane CBD, according to Anthony Doolin. He was out exploring his 16.5 hectares of land when he literally stumbled upon the mine shaft. “We weren’t told about it, we just found it there one day,” Mr Doolin said. “I nearly fell over, I just pictured Indiana Jones and underground railroads. After some research, Mr Doolin discovered the mine was one of many in the area. “There was a lot of mining at the turn of the century and in those hills there are quite a few little mines,” Mr Doolin said. Although Mr Doolin was tempted to find out if there really was “gold in them thar hills”, he never got around to it, getting his mum to sell the property for him. Though he had initially wanted about $300,000 more than he paid for the property, it eventually sold $1.35m last week — the same price he had paid three years ago. His mother Jane Doolin said it had been a difficult task trying to price the property. “People seem to move in there and not sell very often (but) it was a damn good investment block because they had commercial sheds that could be rented out,” Ms Doolin said.